Glove with on top of the right hand a a flower held by a small button pressure representing the pistil. Click on the colors, the glove changes for immediate rendering! 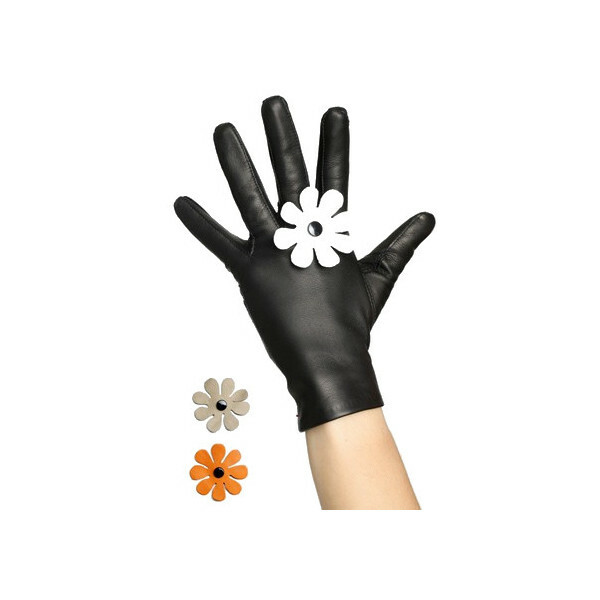 You can thus call your glove and choose the colors of your flowers to match your glove according to your outfit. Lamb leather glove.